I am grateful to my colleague, Rev. Nadine Lehr. The bulk of this sermon is from a teaching sermon that she offered to her congregation, Lord of Life Lutheran Church, during a 2017 Lenten worship series. Brothers and sisters in Christ, grace and peace to you from God our Father and our Lord and Savior Jesus the Christ who teaches us to pray. Amen. So, let’s unpack the Lord’s Prayer a little in order to better understand the comfort and joy that God offers to us through this prayer. 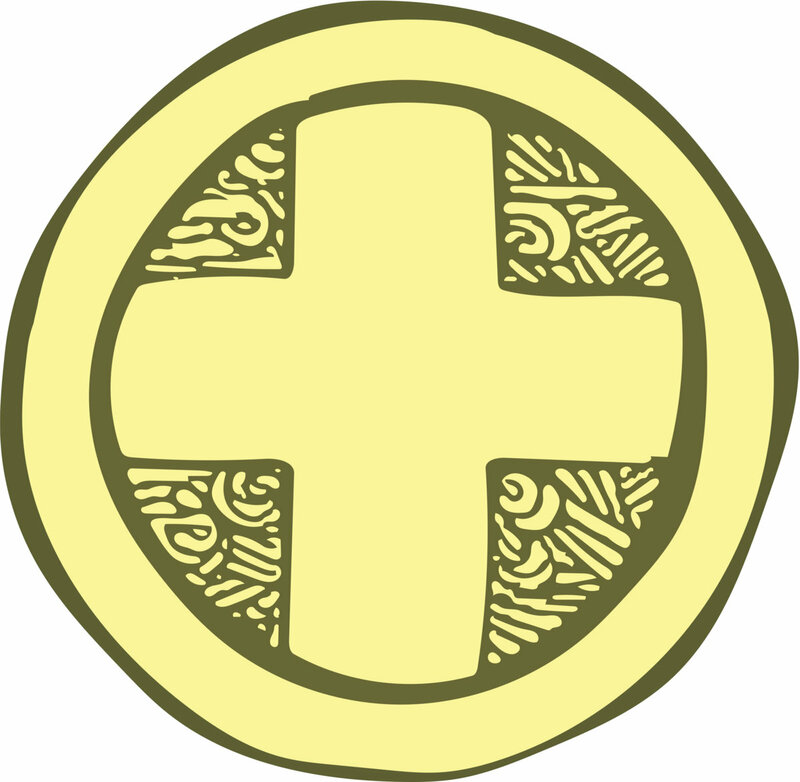 The Small Catechism is the cover of your bulletin again today. First – the introduction or invocation: “Our Father…” In the ancient world of Jesus’ day, people did not have the right to address a superior whenever they felt like it. They first had to ask for permission. And if they didn’t ask with formality and respect, they could be killed. When Jesus tells us to call on God as Father, all of the formality is thrown out the window. Our relationship with God is a safe and intimate one. In heaven is not God’s address. It is simply a description of God’s perfection. God is the perfect Father. Note also that we pray our Father, not my Father. Showing us that our connection to God’s creation is not an individual pursuit, but one that involves the community. After the invocation, we enter into the many petitions – or requests – found in this prayer. Initially, petitions about God. It kind of sounds like we might be praying for God. But that’s not what we are doing. As Luther reminds us, God’s name will be hallowed. God’s kingdom will come. And God’s will shall be done. Our prayers do not make these things happen. Rather, when we pray for these things, we are asking God to help us recognize and embrace the name, the kingdom and the will of God when we experience them at work in the world. Especially as citizens of the United States in 2017, how can we truly understand the word kingdom? Isn’t that one of the things we fought for independence from a few hundred years ago. Luther makes it clear that God’s kingdom is not a geographical place. 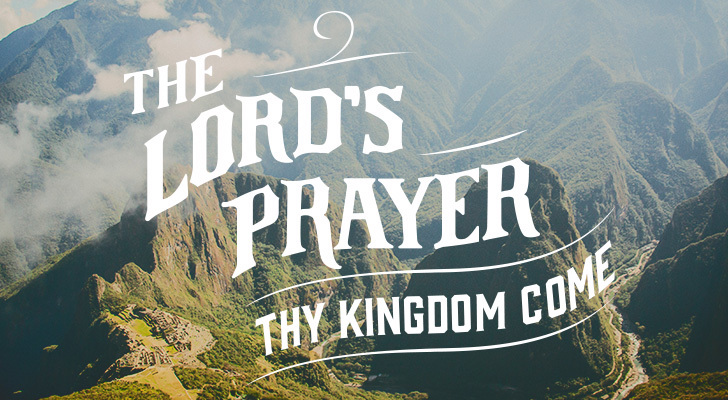 And Luther says that God’s kingdom will come on its own without our prayers. In this petition, we pray that it will come to us. The kingdom actually comes, when the Holy Spirit gives us the gift of faith and plants in us the desire to obey God’s commandments. This is similar to the first two. However, here we ask God to destroy whatever stands in the way of God’s work. And we ask God to keep us steadfast in God’s Word so that we can celebrate the work God is doing. After these first 3 petitions about God, we come to 4 petitions about ourselves. Notice how the tone of the prayer changes and we plead for ourselves. At first, you may think this is just about food. And it is, but food is not all there is to this petition. Luther said we are all beggars before God. We do not create anything in this world. All that we have or that is created comes from God’s hand. We are to see God as the giver and to admit our complete dependence upon God. And notice that we do not pray for all days. We do not worry about tomorrow. And let’s face it, in our culture, there is a great deal of attention given to worrying about tomorrow. Anyone have a savings account or rainy day fund? How about a retirement account? Jesus teaches us to believe, not in scarcity – the possibility of not having enough – but to believe in God’s abundance. To trust in God’s provision. Thus, we pray for today, not tomorrow. In the middle of this summer’s drought or if you struggle each week to make ends meet, that’s a difficult thing to do, isn’t it? The word trespass can be tricky. Trespass means to cross a boundary. We cross a boundary when we overstep and go where we should not go. Brothers and sisters, that’s what sin is. We overstep a boundary. Ans frankly, I believe the root of all sin is the desire to be our own God. To do what we want, when we want to do it. Who cares about God’s will for our lives. In this petition, we ask God to forgive us for that foolishness. Or as Luther offers in his explanation – we ask God not to hold our sins against us. One word of special note in this petition is the word “as.” The word as is also in the third petition. Forgive us our trespasses as we forgive those who trespass against us. One way we might interpret this is “in proportion to.” With that in mind, we are asking God to forgive us in proportion to how much we forgive others. I don’t know about you, but that’s kind of a scary thought. If God forgives me only in as much as I am willing to forgive others, I’m in BIG trouble. And I assume you are all in just as much trouble as I am. Or, we interpret the word “as” to mean a progression. First, we forgive others. Then God will forgive us. I’m sorry, but that’s just as scary as the first interpretation. The good news here is that neither one of these interpretations is correct. God puts no conditions on our forgiveness. Period. In the Lord’s Prayer, the word “as” simply means at the same time or in the same manner. We are asking God that as God forgives us, God’s forgiveness will flow through us and out to our neighbors. We are asking that when we experience God’s forgiveness, we will be given the desire to forgive others. 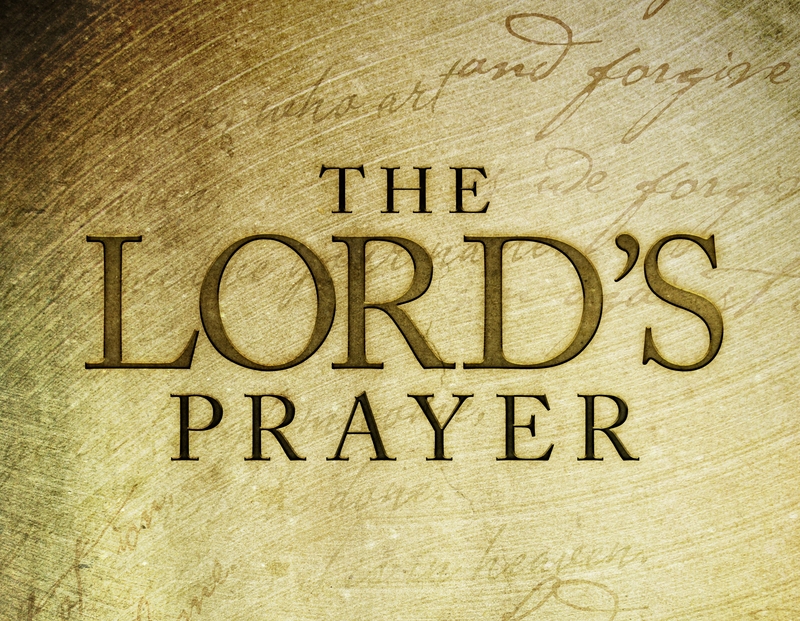 In the Lord’s Prayer, the word “as” simply means at the same time or in the same manner. We are asking God that as God forgives us, God’s forgiveness will flow through us and out to our neighbors. We are asking that when we experience God’s forgiveness, we will be given the desire to forgive others. This can best be seen as a summary statement. We ask God to protect us, to preserve our faith and to deliver us completely from everything that opposes God and our safety. Because one day our struggle will be over. Sin will be no more. We will no longer need to fight evil because it will cease to exist. This petition is a bit circular in nature. If God delivers us from evil, everything in the Lord’s Prayer can happen. But in order for God to deliver us from evil, the rest of the prayer must happen. In other words, we end where we began – asking God to bring our petitions – our requests – to fulfillment. Asking God to deliver on the promises God has made. We confess that God’s name will be hallowed, God’s kingdom will come, God’s will shall be done, our bread will be given, our forgiveness is secured, our trials and temptations will end, all evil will be destroyed. And none of this comes about because we make it happen. It comes about because God makes it happen. The doxology of the Lord’s Prayer commits us to these promises – the promises of God – and it commits us to watch for their fulfillment in our lives, to recognize them and to embrace them. So, brothers and sisters in Christ, when you pray, pray like this. Pray each word, trusting that beneath each petition, God is giving you a promise. And may the Lord’s Prayer help you to never forget that when God makes a promise, it shall be so. This entry was posted on Thursday, July 27th, 2017 at 8:03 pm	and posted in Recent Sermons. You can follow any responses to this entry through the RSS 2.0 feed.